The Temple of the Olympian Zeus in Athens, Greece: This half-ruined temple is dedicated to Zeus, the chief of the Olympian Gods, and that is how it took its name, the temple of the Olympian Zeus. 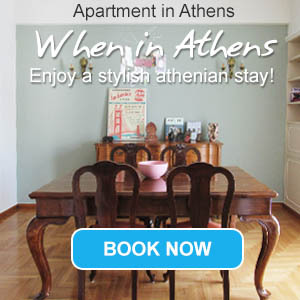 It stands within a walking distance from the Athens center, only 500 m southeast of the Acropolis and 700 m south of Syntagma Square. This temple is very close to other monuments of Athens, such as Kallimarmaro Stadium, the Hadrian's Arch and Zappeion Megaron. The construction of this temple started in the 6th century BC and its designs were appointed to the architects Antistates, Callaeschrus, Antimachides, and Porinus. At first, it was intended to be built out of limestone in the austere Doric style and its size was to be the hugest of all temples. However, the works stopped in 510 BC due to political disorders, when the tyrant Hippias was exiled from Athens. The temple remained incomplete for the next 336 years. In 174 BC, the king Antiochus IV Epiphanes started the reconstruction of the temple, replacing the building material from limestone to the high-quality Pentelic marble and the architectural style from Doric to Corinthian. In fact, it was the first time that the Corinthian order was used for the exterior decoration of a temple. However, when Antiochus died, the project remained again unfinished. In 125 BC, the Roman emperor Hadrian included this temple in his Athens building programme. Many statues of gods and Roman emperors adorned the temple, including an enormous chryselephantine statue of Zeus. In its final form, the temple had 104 columns of 17 m high each and 2 m in diameter each. Unfortunately, this temple was about to stand in grandeur for only a couple of centuries. In 267 AD, during a sack of Athens, the temple and a large part of the town was damaged. In 425 AD, following the dominance of Christianity, the Byzantine emperor Theodosius II prohibited the cult of ancient Greek and Roman gods in the temple. In fact, he allowed people to use its fine marble for the construction of churches, housed and other buildings in the town. By the end of the Byzantine period, in the middle 15th century, only 21 of the 104 columns had survived. The temple suffered more damages during the Turkish occupation and the first decades of the Greek State. In 1852, a severe storm totally destroyed the cella and the great statue of Zeus. By that time, only 15 columns survived and a sixteenth column was lying on the ground. Works for the excavation and the restoration of the temple finally started in the late 19th and the early 20th century by Greek and German archaeologists and by the British School in Athens. Today, the temple of the Olympian Zeus is considered as one of the finest ancient monuments of the city. impressive gorgeous temple- could not believe how tall were the columns!